Today is A.R. Rahman's 50th birthday. A brand makeover and a keyboard changed his life. If only he had not become a music director or had not changed his name from Dilip, he might not have become the music director we all know. I am gonna share three possible scenarios of what would have happened to him if he had remained as Dilip. Possibility 1: A software Engineer. A R Rahman lost his father when he was 9 years old. At that time A R Rahman wanted to become a computer engineer. 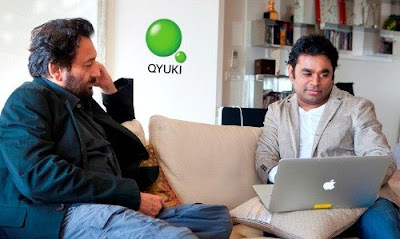 Recently Rahman and Shekar Kapoor launched a social media platform for music lovers. The platform "Qyuki" showcases some of the raw talents in the country; predominantly music talents. He still has a love for gadgets and apps. A.R.Rahman might have become a Vice President of some software company and would have been on a Monday to Friday, 9-5 job. May be, he would have bought a DSLR camera and would have started a photography page. 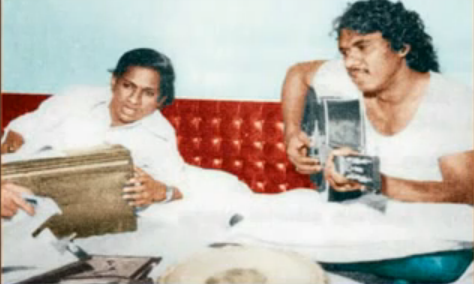 A R Rahman's dad was a musician too who has composed songs for many movies in the Malayalam film industry. He even used to rent musical instruments to musicians. Isai Gnani Illayaraja used to rent music instruments to direct some of his early compositions in the 70s from A.R. Rahman's father. That is how "Dilip" got introduced to Illayaraja. If A.R. Rahman had not become a music director, he would have managed his father's music store and would have rented out music instruments to music directors like Harris Jayaraj and Anirudh. Sorry! Do they even use a music instrument in the first place? A.R. Rahman was the much sought after keyboardist for various local Chennai bands. His first band was "Roots" where drummer Sivamani used to play drums for him. He has also played for bands like Myth and Magic which could have become popular if A R Rahman had remained with them. 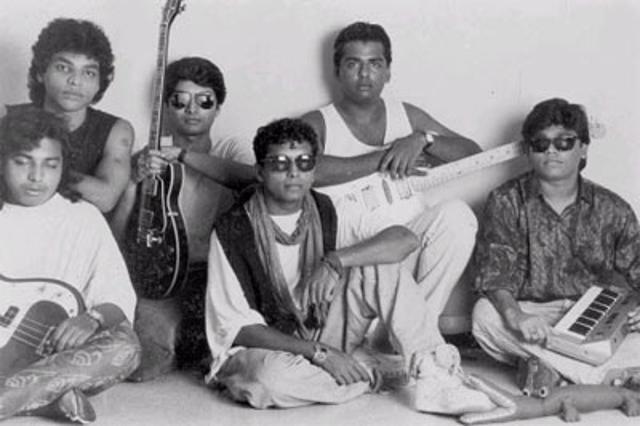 Then finally before he signed up for Roja with Maniratnam, Rahman played for a band called Nemesis Avenue. I have worked with the lead guitarist of that band- Sudin Prabhakar for a concert in Chennai (Ernie Haase and Signature Sound). It was Sudin who provided his electronic piano for EHSS to perform. The talent Nemesis Avenue had, I am pretty sure they would have gone on to become the Guns and Roses of India. Suresh Peters was the lead singer of the band and A.R Rahman made sure to give Peters an opportunity to sing Chikkubukku Rayiley song for the movie Gentleman. Peters and Rahman can hit high notes like Freddy Mercury. There are many things that one can admire from A.R Rahman. Be it his soft spoken nature, the manner in which he listens before answering a question, his humility or his talent, one thing that always stands apart is the fact that he has always put his country and mother tongue first. He has done that not by showing arrogance or by fighting on social media; but with his soft actions. How did such a calm person come up in life in this aggressive, action packed competitive world? That is the speciality of A R Rahman. He might be calm and appear laid back, but he is the perfect example for the phrase "Actions speak louder than words". If you are still a Dilip, you can become an A.R.Rahman too, only if you allow your actions to speak louder than your words.